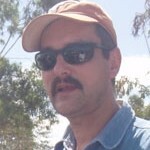 Markus G. Walsh is a Senior Research Scientist in Landscape Ecology at the AgCenter. He is also Adjunct Senior Research Scientist at the Tropical Soil Biology and Fertility Institute of CIAT in Nairobi. Brought up in Kenya, Walsh has over 25 years of experience in land degradation and landscape ecology research in Africa. Dr. Walsh was a senior research scientist at the World Agroforestry Center (ICRAF) from 1997-2007, where he led research on land degradation assessment, monitoring and rehabilitation in the Lake Victoria Basin, based in Kisumu, Kenya. 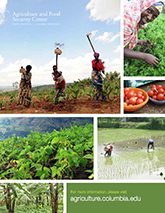 One of the major outcomes of this work is the “Land Degradation Surveillance Framework” which forms the basis of the soil health surveillance approach of the Africa Soil Information Service (http://africasoils.net), and which is also being used to monitor a wide range of ecosystem services in the Millennium Villages and in several other large projects located in Kenya, Mali, and Mozambique. He also co-developed diffuse reflectance spectrometry as an operational tool for monitoring biological, chemical and physical characteristics of soils in landscapes. A German citizen, Walsh holds a PhD in rangeland ecology and management from Texas A&M University and BSc degrees in animal science and agricultural mechanization from Iowa State University.